1147-53 N. 4th Street, UNIT 2F- UNDER CONTRACT! 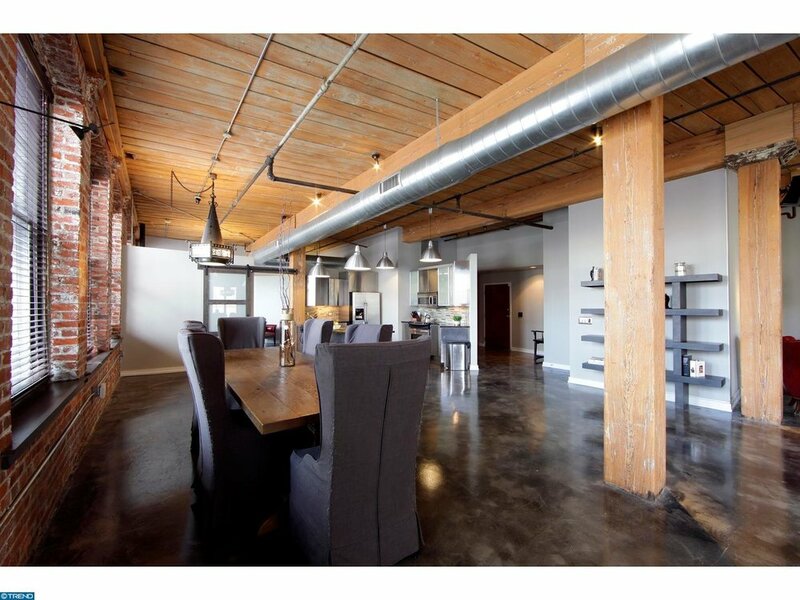 Rarely is a unique home offered for sale such as this nearly 3,000 sq ft loft. 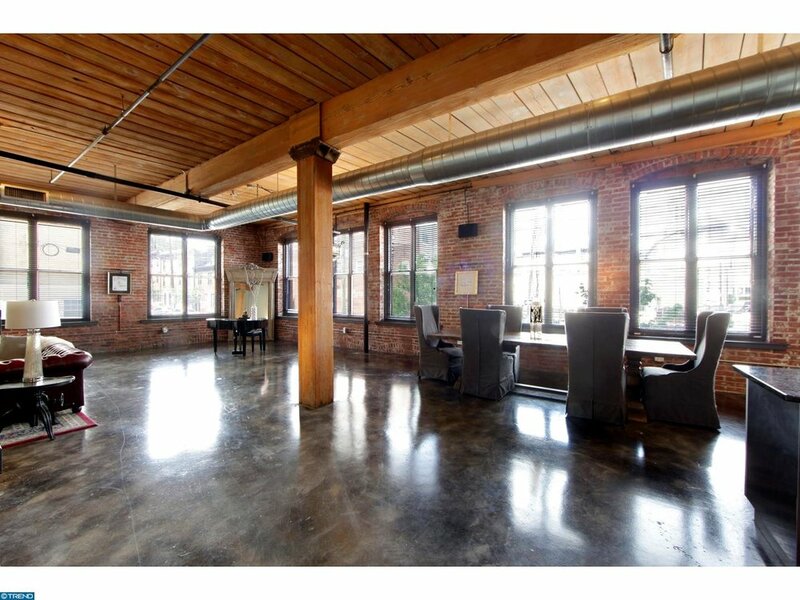 26 windows, polished concrete floors, nearly 12' high ceilings, exposed brick, and exposed timber beams give this home such an amazing character compared to most of what's offered for sale. Step into the luxurious foyer with coat closet and a full bathroom. Continue inside and then marvel at the 45' wide space as you enter into the living space filled with a corner wall of windows. To the right is the dining area and stainless steel cabinetry kitchen with overhang island for quick meals and Frigidaire appliances. Continue to the right through the barn door to bedroom two which is extremely bright and spacious with a full bath including giant soaking tub, double sinks, and the laundry station. Walking back toward the living room one will notice the allure of the grey polishes concrete floors and realize just how much natural light pours into this home. Turn the corner to a sitting area which is prime for television enjoyment and continue into the hardwood floored master suite. This room has been brightened with wht painted brick and ceilings. It's privacy and coziness is accented by the treelined views. The master closet is gigantic and very accommodating. The rest of the bathroom includes the huge sink vanity, separate latrine area and the approximately 5'8' steam shower with multiple shower heads. This home features dual HVAC systems and has been wired in the living room for optimal entertaining sound. The deeded parking space below in the heated garage is an added advantage to the already transit oriented development of this building with the EL train just a few blocks away. Walk in minutes to the Piazza/Schmidt Commons, Liberties Walk, the Acme with a new Starbucks inside, One Shot Cafe, Honeys, Cafe La Maude and the ever famous Liberty Lands park and community dog park. This home boasts a walking score of 96! Come see it today. Move in ready!